I am so excited to announce that due to the phenomenal success of our monthly #MotivesMakeover contest, we're taking it international! Our monthly contestants have created some truly inspirational makeup looks while gaining some phenomenal brand awareness when the competitions go to the public vote. Did you know that our first ever #MotivesMakeover contest attracted over 63,000 votes from the public? That's some serious brand awareness for your makeup artistry skills and Instagram page. Monthly winners will be posted on Loren's World AND shared across all social media channels for both myself and Motives Cosmetics USA (3.3 million+ followers). The monthly winner will also receive $500 worth of Motives products to give away to their followers. In addition to all of this, winners will now receive our 2018 Winner logo to proudly display on your blog and on your social media pages to announce to the world you're an award-winning makeup artist. Our June judges will be on the lookout for makeup looks from all over the world which best captures the free-spirited soul of beach beauty. Think ocean shades, glittery sand, sun-kissed glowy skin, bronzed goddess, and mermaids. 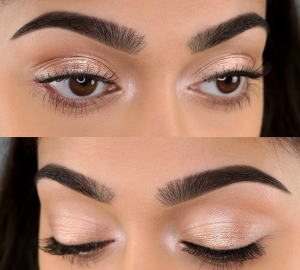 I can't wait to see all of your gorgeous makeup looks! 1. Post your makeup look on your Instagram by midnight on June 21, 2018. Tag @motivescosmetics and @lorenridinger. Use the hashtags #MotivesMakeover AND #BeachBeauty so that we can see your entry. 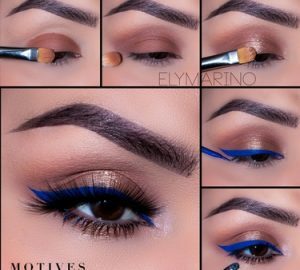 Don’t forget to list which Motives products you use in your post and tag your model in the comments section. 2. Our team will select our favorite top 5 makeup looks on June 22, 2018. The Top 5 will go to the public vote by June 23, 2018, to June 30, 2018. 3. Please ensure your Instagram is set to public – if your account is private, we won’t be able to see your entry. 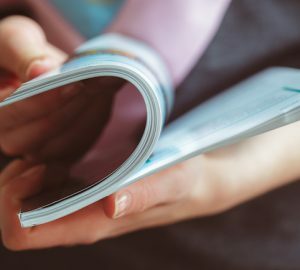 Entrants must reside in one of the 50 States in the United States, Canada, United Kingdom, Australia, Mexico, Taiwan, Singapore, Hong Kong and Malaysia and must be the age of legal capacity at the time of entry. If you’re not yet a Motives Cosmetics influencer but would like to be, please email info@lorensworld.com along with a link to your Instagram account.